Happy 2016! Welcome new and old blog subscribers. Here’s to a year filled with bouncing baby bees, heavenly honey, and plentiful pollen! One of my New Year’s resolutions is to keep the blog more up-to-date…I also want to make it more interactive, so if you have any burning bee biology questions, write them in the comments! Happy Halloween from the Queen and her “keeper”. 2016 will bring exciting times to the apiary, as we are planning on increasing to 3 hives this year. This April, it will be 2 years since we began our “adventure in beekeeping”. Learned a lot of new things, but appreciate now more than ever that beekeeping, as with most things worth learning, is a constant study, and above all the bees know best! 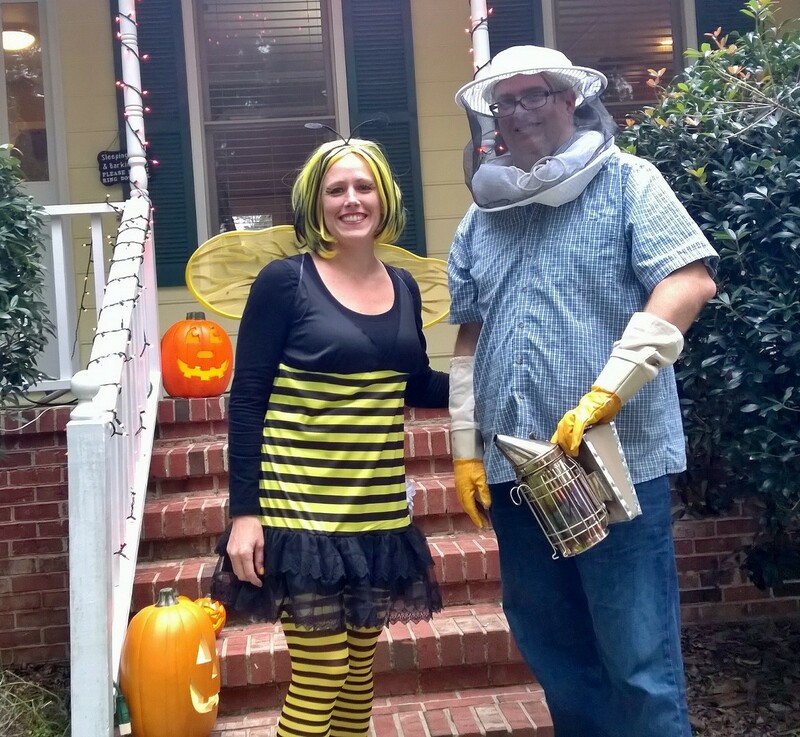 And a HUGE thank you to all of us that have been able to reap the benefits of your beekeeping hobby! 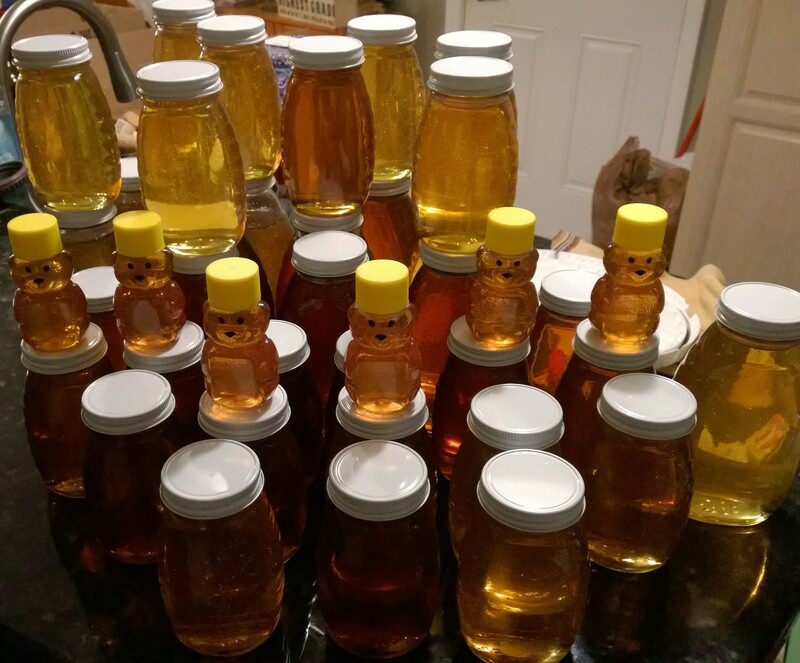 Neat jars you used for the honey. We had a great year, lots of honey from 10 hives.